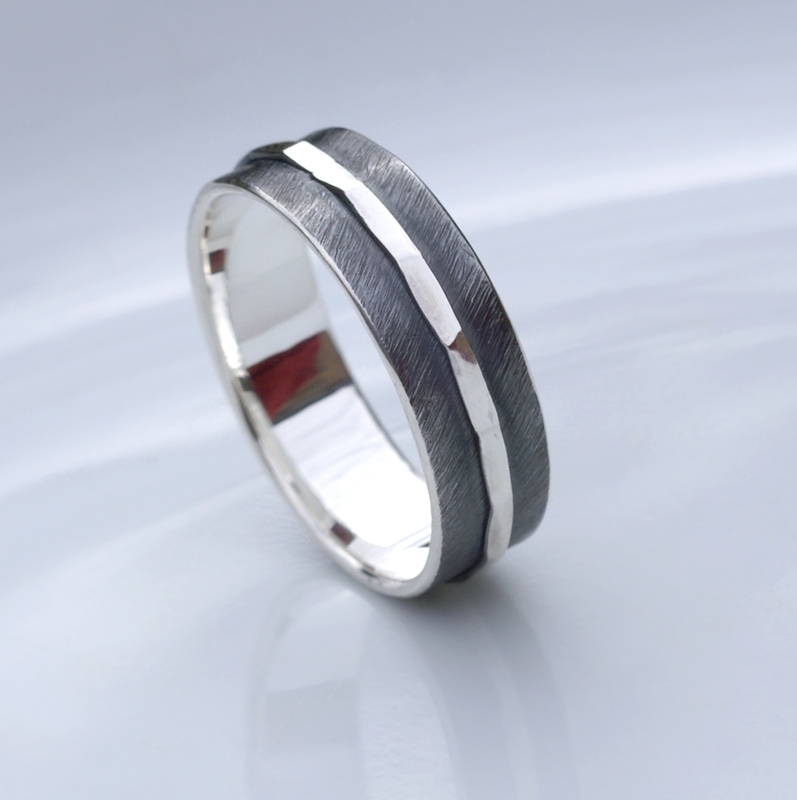 Simple and elegant ring, featuring contrast of oxidized texture and polished hammered strip in the middle. 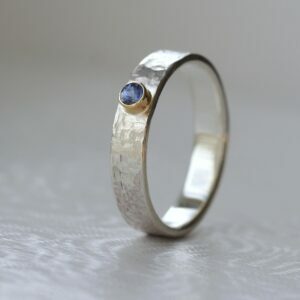 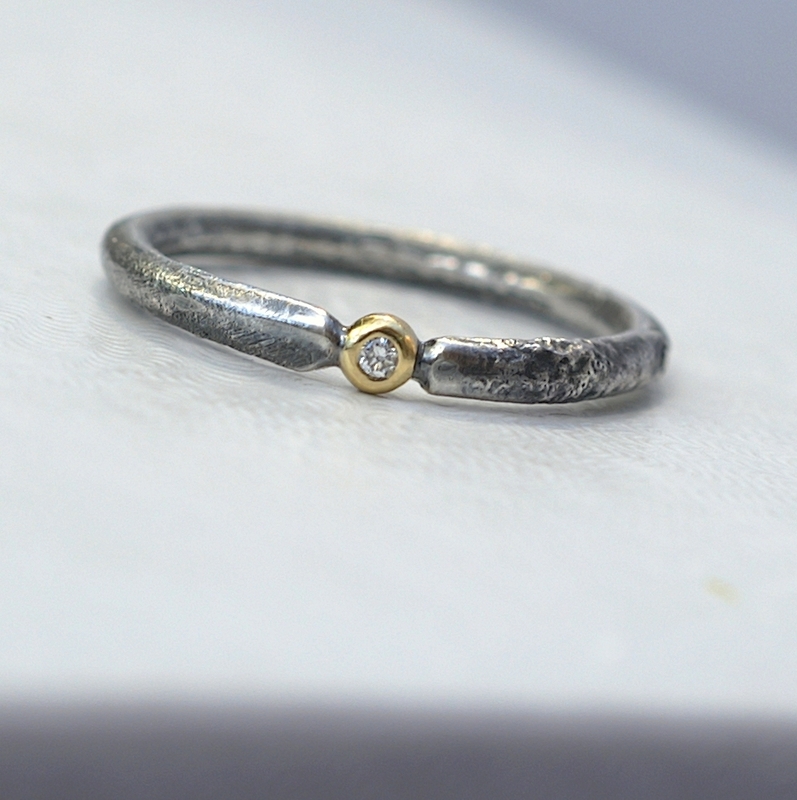 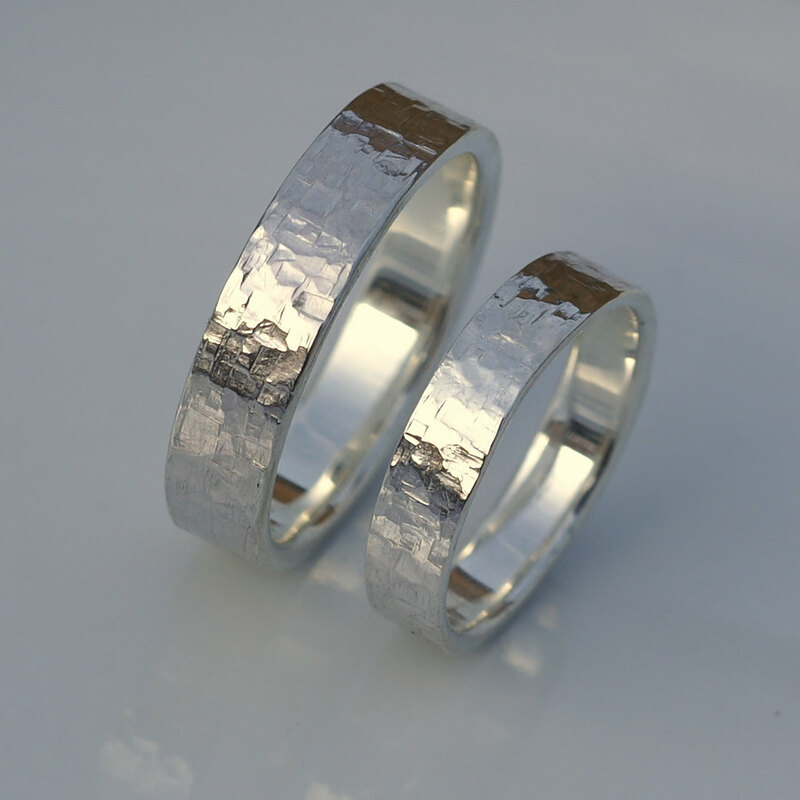 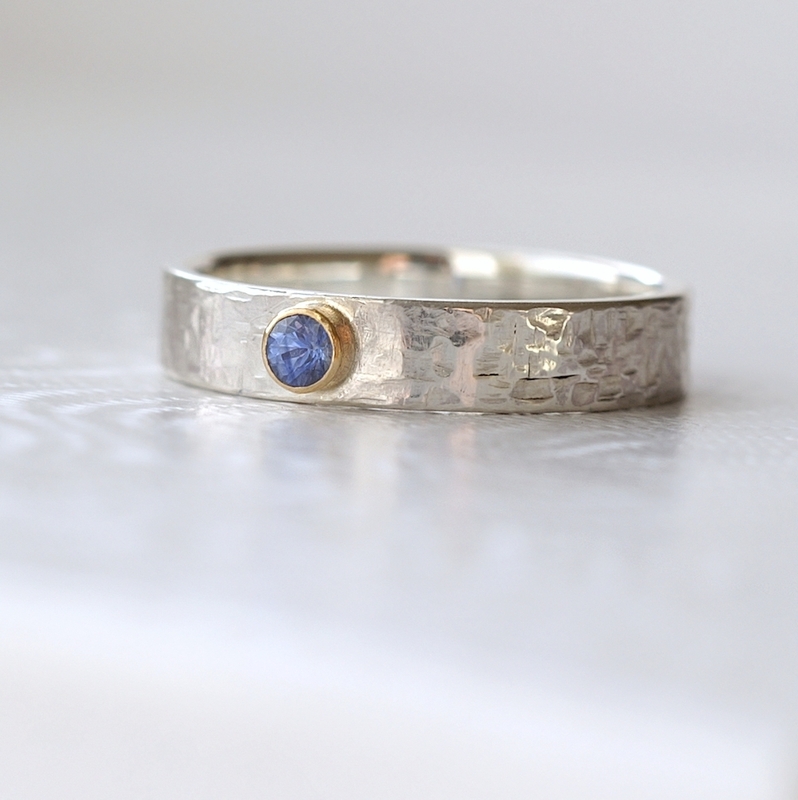 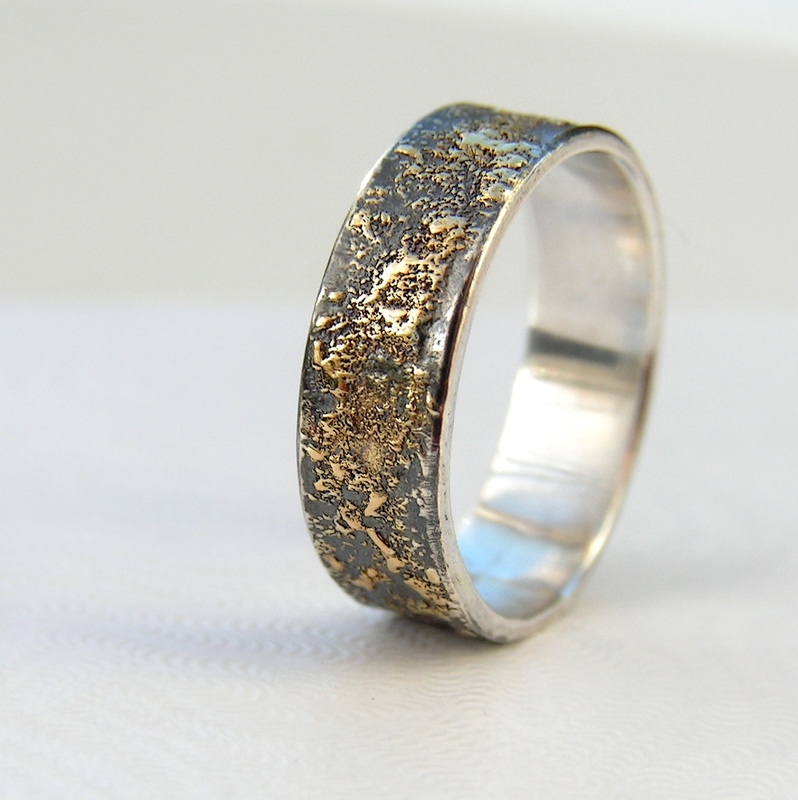 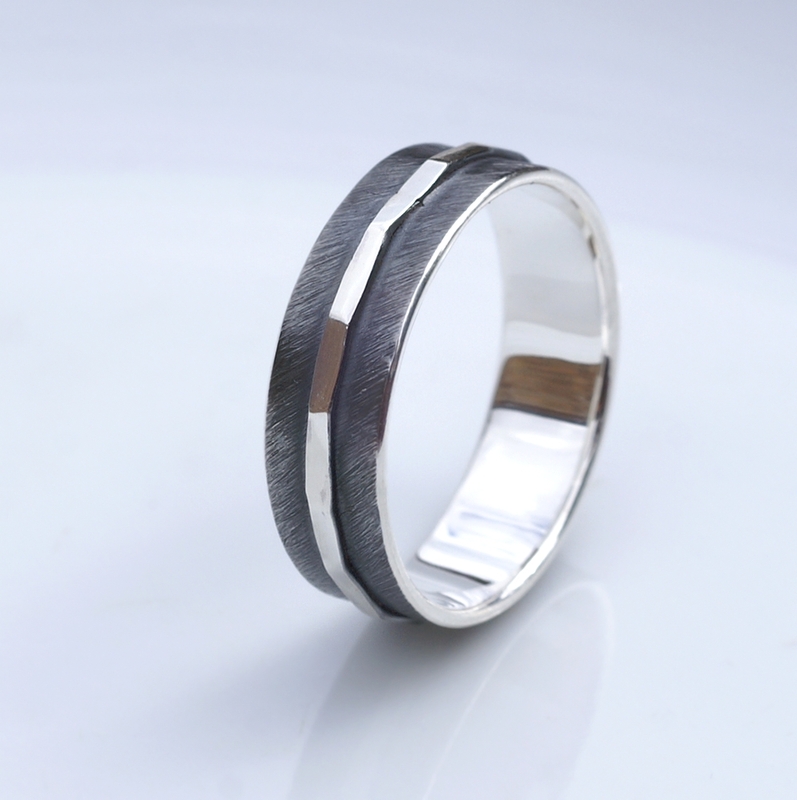 The main part of the ring is made of sterling silver, textured, oxidized and slightly polished. Central part is hammered and polished. 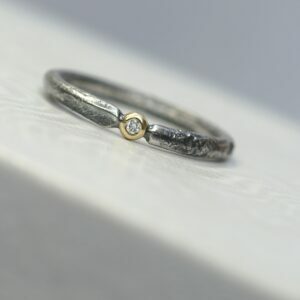 Inside of the ring is also polished for contrast. 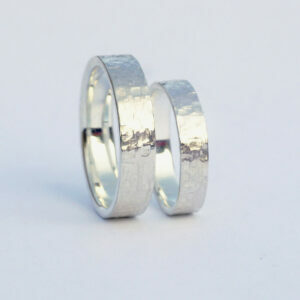 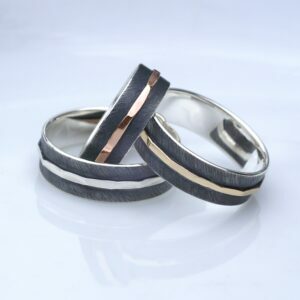 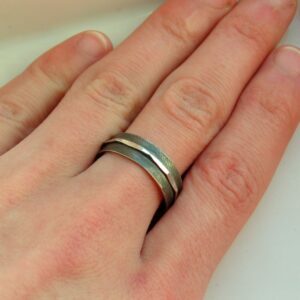 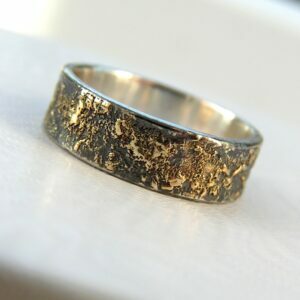 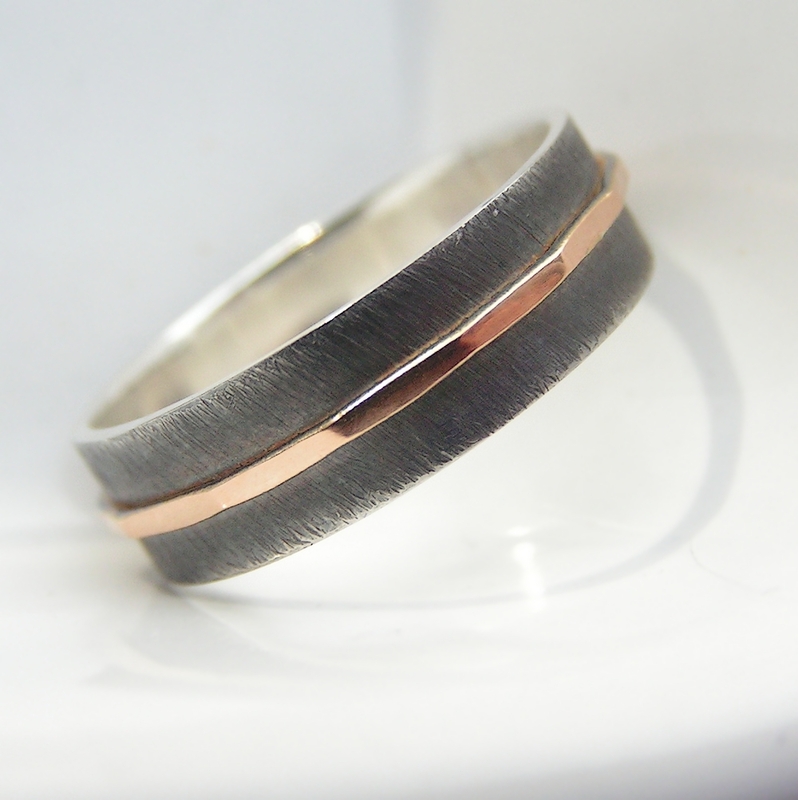 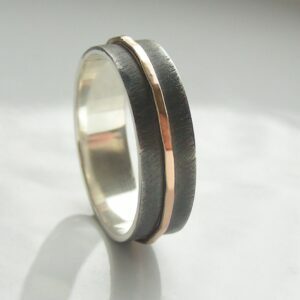 Width: 6mm wide, which is perfect for men’s ring. The patina will wear off slightly on the edges (where is already lightly polished to make a gradient). 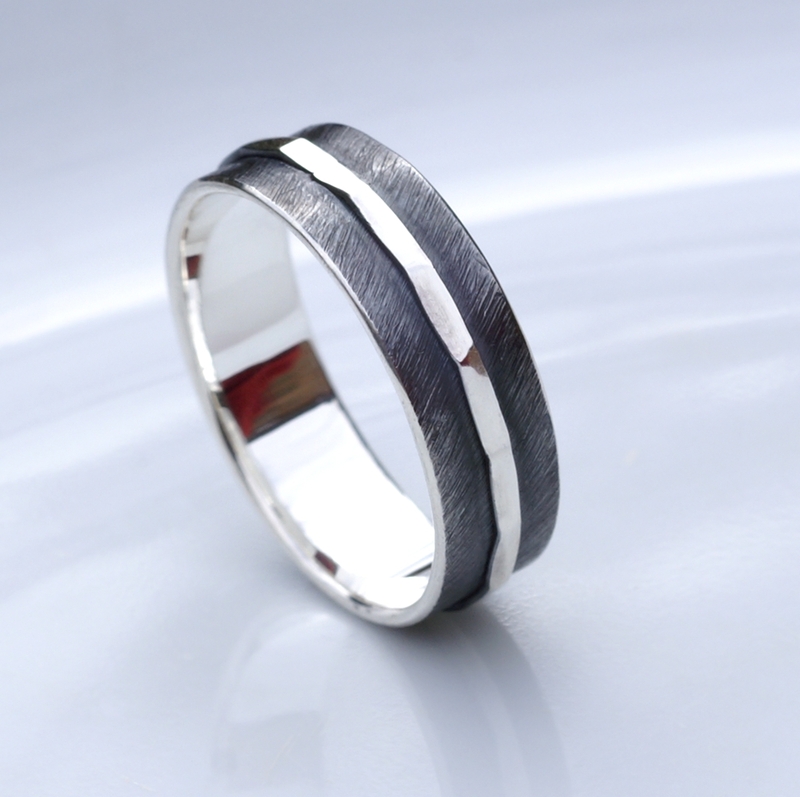 It will stay black close to the center of the ring.